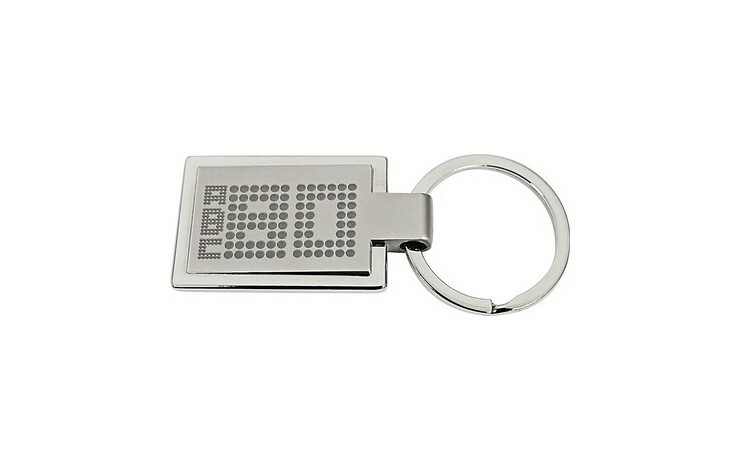 Stylish nickel plated keyring with shiny silver outer border and large matt inner section. Offered in 4 different shapes - oval, rectangular, triangular and round. Ideal for engraving front and back. Presented in a 2 part black window box.